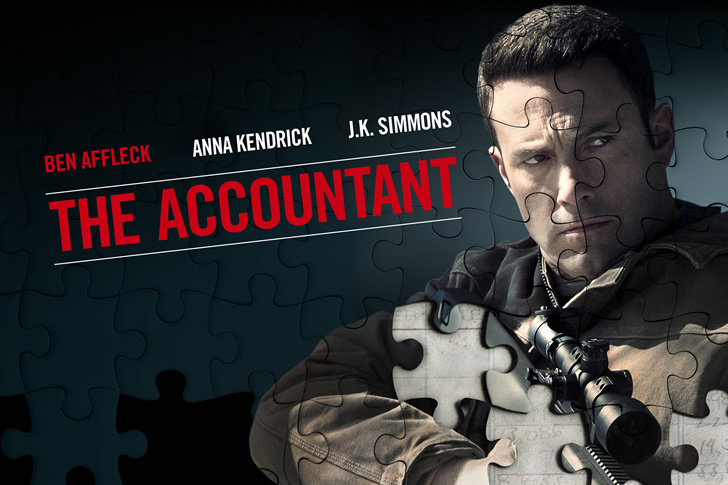 Although it is equal parts a competent crime thriller and a character study of an isolated mathematician savant, The Accountant is essentially a disguised superhero movie that in some ways makes up for the fact that Affleck’s Batman will never see a solo outing. Christian Wolff’s “powers” are rooted in his autism and a childhood primed by his father to resist bullies. This manifests in rather more robust skills than the typical chartered professional, and a peculiar moral compass that allows him to work with some criminal enterprises in rooting out financial irregularities, whilst engaging in vigilante justice against others. The bursts of action are well-choreographed and blessedly free of jump-cuts. It is The Accountant‘s pacing as much as the violence which makes this a strictly adult affair. Although high-functioning autism has become a trope, it is handled here with some sensitivity and it would be reductive to boil Wolff’s character down to nothing more than “socially awkward Batman” (which is, arguably, just Batman). Affleck injects welcome nuance to his performance, particularly in his scenes with Anna Kendrick. However, the awkwardly preachy post-conclusion scene is… incongruous.